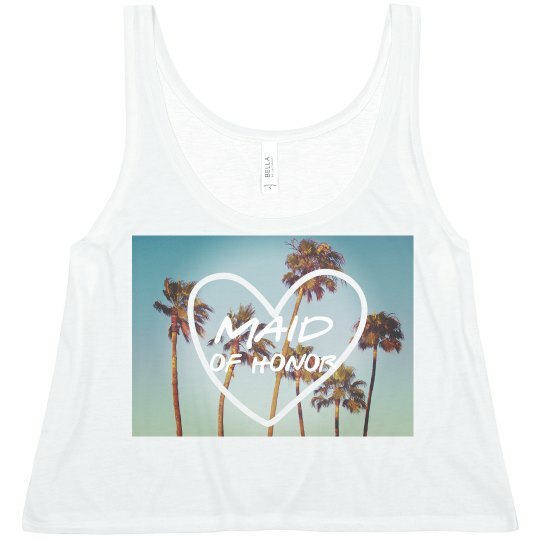 Customize a cute tee with this awesome palm tree photo. Add some art and text over the image. Add the maid of honors name and even her wedding date.